Prime Minister Narendra Modi, along with Amit Shah and other top leaders released BJP's manifesto for Lok Sabha Electiosn2019 on Monday. The "Sankalp Patra" or document of promises has been crafted on the theme of a "Sankalpit Bharat - Shashakt Bharat" or "determined India, empowered India". With the vision towards a 'New India', BJP has enlisted the promises that the party will fulfil in the next course of five years. 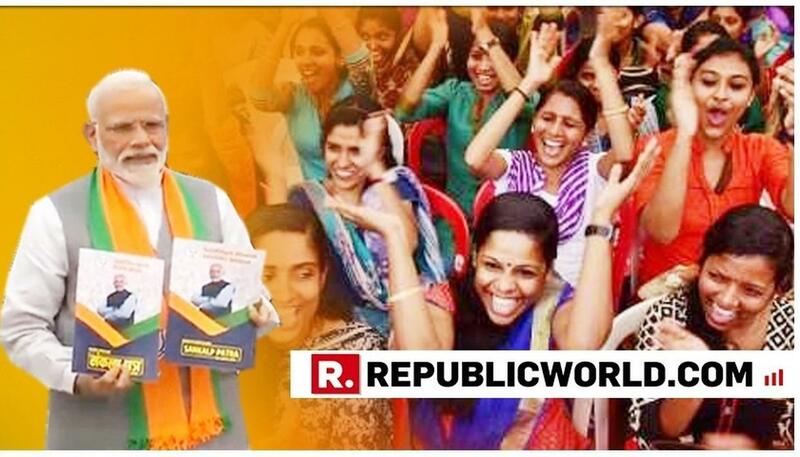 To achieve its goal of a developed India, BJP stressed upon the spirit of 'Nari Shakti' (women empowerment). 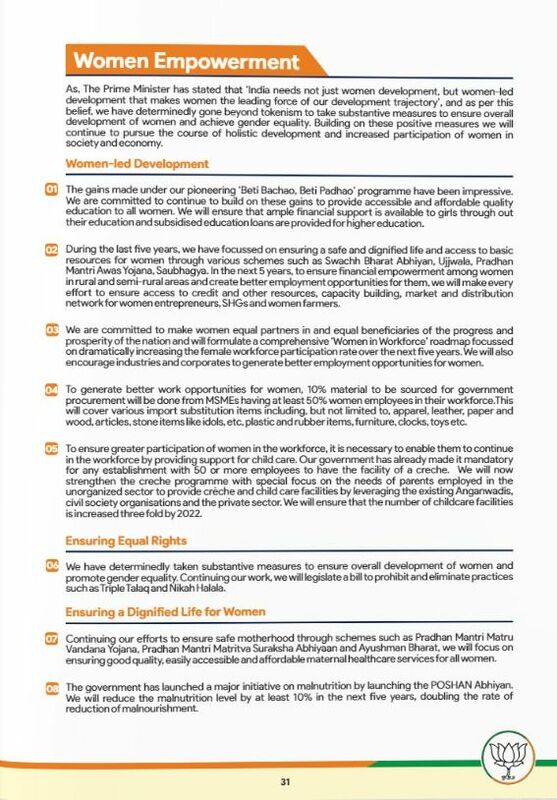 "Not just women development but women-led development that makes women the leading force of our development trajectory", reads a quote by PM Minister Narendra Modi in the opening paragraph of Women empowerment section. 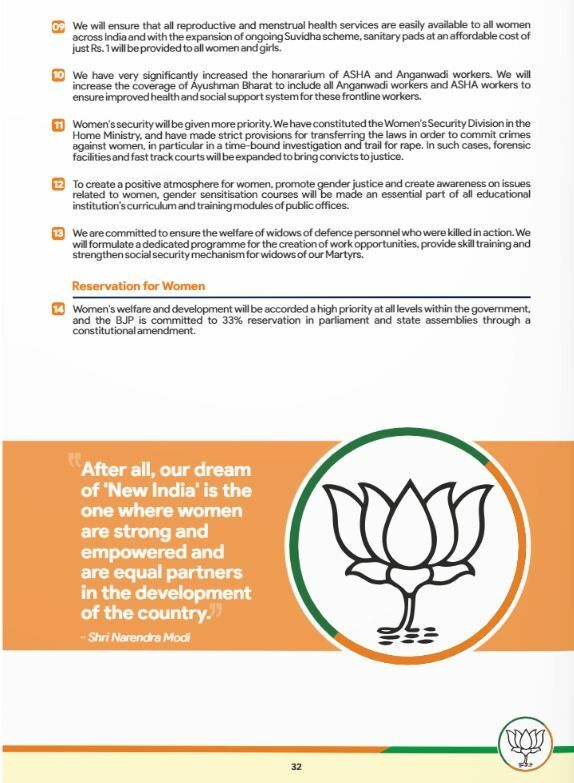 "After all, our dream of 'New India' is the one where women are strong and empowered and are equal partners in the development of our country", BJP's manifesto concludes.